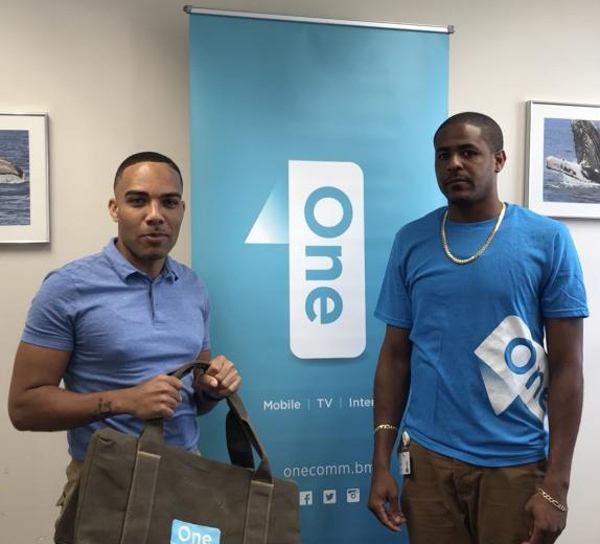 One Communications and the Bermuda Cricket Board [BCB] announced that the Premier League Player of the Week is Malachi Jones of Southampton Rangers, while the First Division Player of the Week is Deunte Darrell of Willow Cuts. 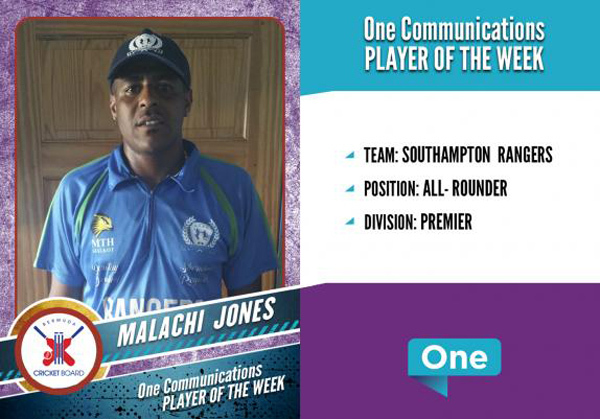 A spokesperson said, “One Communications and the BCB are pleased to announce that the One Communications Premier Division ‘Player of the Week’ is Malachi Jones of Southampton Rangers. In the match against St. George’s Malachi played a pivotal role with both the bat and ball. Malachi scored 55 runs off 71 balls with 5 fours opening the batting for Rangers. Malachi then bowled 10 overs taking 4 wickets for 22 runs to complete an outstanding all-round performance. 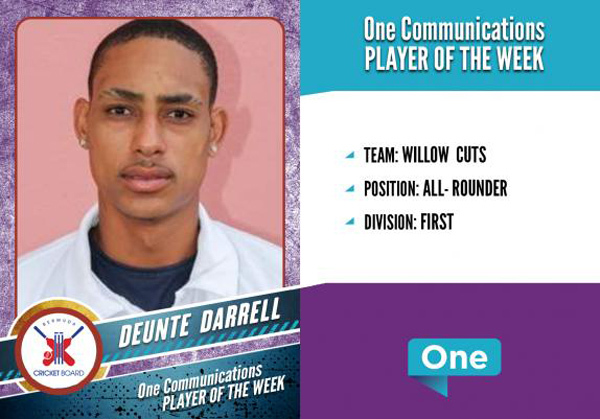 “The One Communications First Division ‘Player of the Week’ is Deunte Darrell of Willow Cuts. In the game against Cleveland County Cricket Club Deunte scored a critical 76 runs off 79 balls with 5 fours and 5 sixes to help steer his team to a 5-wicket victory. Earlier in the day Deunte took one wicket for 46 runs.